This piece was posted on the Facebook page of my son Stephen who is 26. I asked him if I could share it with you. The next time the world starts to get you down with all the darkness, selfishness and cruelty that seems endless, think of little stories like this and remember that decency, thoughtfulness and childlike purity are all alive and well. After picking up my girlfriend Nic from her place, I noticed a Buzz Lightyear toy lying in the road while at a stoplight. In a rush of pity and instinct I jumped out of the car to save it from oncoming traffic. As we were driving away, I noticed a Woody doll lying on the opposite end of the street staring forlornly at us as we drove off. For the next ten minutes I lamented only being able to save one of them from a miserable fate until Nic finally suggested that maybe I should go back and retrieve him as well. Feeling kind of silly and stupid, but determined nonetheless, I turned the car around at the Hess station in Watertown to go back. Sure enough, the Woody was still lying in the street. As I pulled over to park, I noticed a tall biker gently reach down and pluck Woody off street and walk to a parked car nearby. Woody and Buzz Lightyear, sidekicks from the Toy Story series, usually come in a set and figuring if he was rescuing one he’d want the set, I got out of the car and walked over to hand over Buzz Lightyear to him. As it turned out, the Biker was handing the toy to its original owner, a small kid who had accidentally dropped both toys out of the car as he and his mother had driven down the street some time earlier. 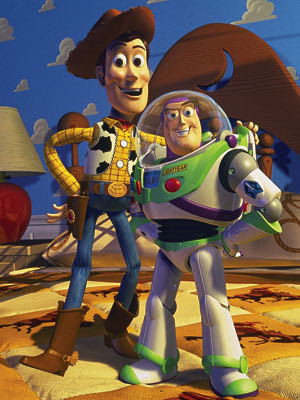 “Woody!” he excitedly yelled as he was reunited with his lost toy. The mother smiled as the Biker and his girlfriend joked that she should drive with the windows up from now on. The boy’s eyes lit up even more as I handed over Buzz Lightyear and explained that I had found it earlier and felt bad splitting the two famous friends up. 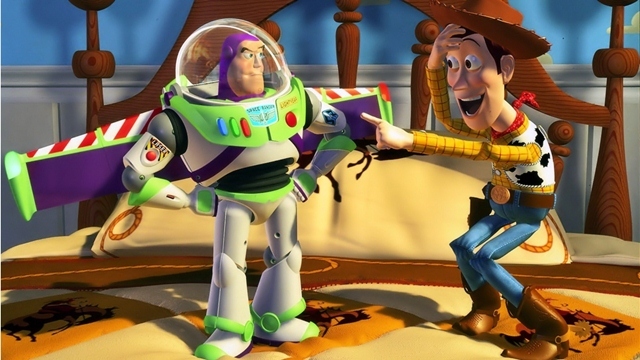 “Buzz!” he exclaimed, and hugged the two toys to him. There was a quiet moment between the four adults as we all chuckled a little and smiled at each other. Thinking about it as I drove away, I realized that had I come at any other time, this moment would never have taken place. I guess it just goes to show that it’s never the wrong time to try and do something nice, even if you’re not sure why you’re doing it in the first place.